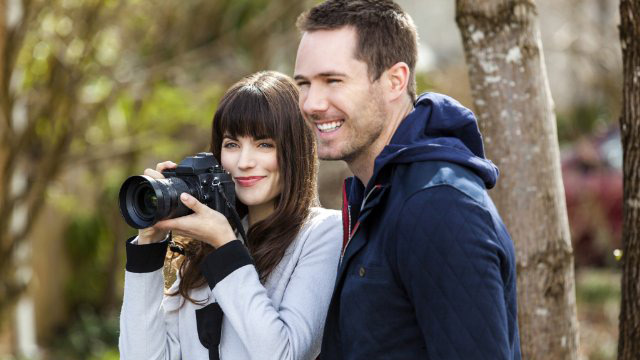 Budding photographer Chloe (Meghan Ory) comes from a family of failed romances. At a local flea market, she stumbles upon an old photo album from the 1970s, chronicling the ideal romance of a happy couple (Art Hindle and Adrienne Barbeau). Unable to find her own “true love,” she sets out to find the couple in the album and prove that true love exists. Along the way, she meets Gabe Sinclair (Luke Macfarlane), a mysterious, but charming bartender, who seizes the opportunity to join Chloe’s mission and soon finds himself falling in love with her. With limited resources, the two go on an adventure, searching for clues that will lead them to the couple and hopefully to true love. As the search continues, Chloe begins taking an interest in Gabe, but won’t let these feelings distract her from her mission to find the couple. Will Chloe learn to give up her fear of falling in love and finally find true happiness?